Solar panel prices have crashed up to 40% in the recent months due to overcapacity and likely reduction in feed-in-tariff (FIT) in China. This is providing scope for huge drop in tariffs, with rates at a solar park in Rajasthan already being capped at a record low of Rs 4 per unit. Gaurav Mathur, CEO of Chinese solar panel producer Trina Solar India Pvt Ltd, said the drop in the prices of PV modules in the last few months was “abnormal”. “There is overcapacity in the market. 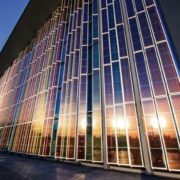 This (fall in solar panel prices) is an abnormal drop; reason being there is no technological breakthrough by which prices are going down, it is just overcapacity,” he said. Mathur said rates of their solar panels have slumped by around 15% in just a quarter from 43-44 cents per unit to 36-37 cents per unit. Kushagra Nandan, co-founder, president & chief operating officer, SunSource Energy, gave a slightly higher percentage of drop at 30-40%. 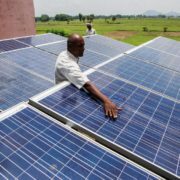 Nandan, whose company is working on 100 rooftop solar power plants in 19 states, said the dip in panel rates was making them more competitive and helping solar power utilities to bid at lower rates, and still be viable. “It (drop in solar panel prices) is a good thing from the (solar power plant) developers’ and the end-users’ perspective as it is bringing down their costs and eventually reducing the power tariff,” he said. According to him, there has also been a sharp decline in solar power storage equipment cost with South Korean, Japanese and German companies such as Samsung, Panasonic, and others setting up joint ventures (JVs) in China for building manufacturing capacity. “There was also a glut of manufacturing capacity in China due to the expectation of a reduction in FIT (almost 30%) in the new government policy,” he said. 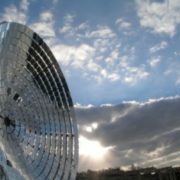 FIT is a policy measure used by the government to drive up investment in renewable energy technologies. This tariff is paid to energy users to encourage them to generate renewable electricity. Mathur said with the spectre of a cut in the FIT in the new policy, there was a rush in China to grid connect or install projects in the first half of the current year. This has led to many panel manufacturers increasing their capacity and flooding the market at lower priced products. 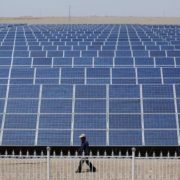 Mathur estimated that close to 16-17 gigawatt (gw) capacity was installed in China in the first half of the year. He expects another 5-6 GW projects to be set up in the current quarter in China. “There was a situation of desperation because of the overcapacity but now that the new FIT has been announced in China (last month), we are expecting around 5-6 gw to be installed (between October and December). We are also expecting huge demand to come from India,” he said. Mathur expects 2 gw installation in the current quarter and another over 2.5 gw in the first quarter (January-March) in India. 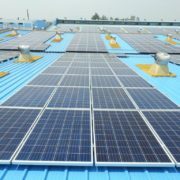 “I am expecting more than 80% of the demand (for solar panel) in India to be met by Chinese manufacturers,” he said. Interestingly, with a fall in panel prices, the solar power tariff have now reached an all-time low. According to a PTI report, Rs 4 per unit is the maximum rate fixed under the tender floated for 750-mw solar power projects at Bhadla solar park in Rajasthan. Till now, the lowest tariff quoted was year, Finland-based Fortum Finnsurya Energy’s Rs 4.34 per unit for the 70-megawatt (mw) plant under NTPC’s Bhadla solar park tender. However, tariffs in the rooftop segment have still not fallen drastically and solar power players distribute their risk by having a presence in this segment, which offers higher margins. Today, the cheapest electricity tariff is in the agricultural or the farm segment at around Rs 1 or Rs 2 a unit followed by residential sector at around Rs 4-4.50 per unit, going up to Rs 7-7.50 per unit. In certain cases, residential power tariff crosses Rs 9-10 per unit. For commercial-industrial sector, it starts from Rs 5.50 per unit, goes up to about Rs 7.50-8 per unit and in certain cases, it is Rs12-14 per unit. In this segment, almost all Indian states have achieved grid parity. 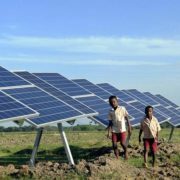 The National Democratic Alliance (NDA) government has a set a target of installing 100 gw solar capacity by 2022.